I am excited to announce that I have partnered with Apartment Guide to serve as an Official Apartment Guide Decor Blogger! 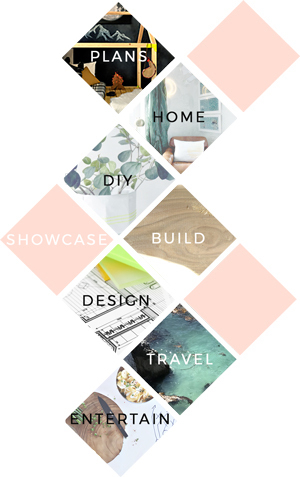 As an official blogger, I will be sharing articles and ideas for exploring your space, city and style. Today’s Topic is all about how to make your house guests comfortable and places to explore with your visitors that make their stay both enjoyable and memorable! Make it Work….for your guests! The most enjoyable aspect of staying at a hotel (for me) is knowing that regardless of how I’m feeling at any given moment, my needs and wants can be met without feeling as though I’m putting anyone out. There is no reason why your house guests should feel any differently and in fact this is the number one point of focus you should have when attempting to make your guest’s stay enjoyable…not to worry this is easier to do than you might think. During an overnight stay a guest will require certain things, and anything beyond those things is merely icing on the cake. Focus first on the basics so they are sure to be comfortable, then if you like, pull out the red carpet and go crazy…just don’t forget these basics or your red carpet will be a major flop. Sleep: This is the number one task your guests will do at your home so make this portion as flexible for as many people as possible. You should always consider the sleeping arrangements for maximum rest and minimum disturbance regardless of sleeping preferences. Bedding and Climate Control – Since you won’t be able to please everyone with ease on this front, having convertible options for bed coverings is crucial. That way those who are cold can cover up and snuggle in and those who get warm at night can remove coverings with ease. This might mean a sheet, blanket, down comforter, and bed spread all within arms reach while your guests are slumbering. I promise your guests will care more for their temperature than whether or not these items are all color coordinated and expensive, so don’t stress…just layer. Be sure to have at least 2 pillows per person for the greatest flexibility and comfort. Guests can use them both or remove one if preferred. Lighting – Be sure it’s easy for your guests to read in bed if they like, or dig through their luggage to find what they need. This means you need to have easy access to lighting for them and this can easily be accomplished with table lamps or overhead lighting depending on the layout of your space. Also be sure that any windows can be adequately covered for maximum darkness if your guests are sensitive to that morning sun. A grumpy guest who didn’t sleep well, doesn’t work out the best for anyone. Leisure – Consider that many peole enjoy a little bedtime tv watching before they hit the sack and allow them this option if you can. Eating: Aside from sleeping and bathing this is perhaps the other major task a guest may do at your home. Make sure you provide adequate and quick options for even the pickiest of eaters. Before your guests head to bed, be sure to show them their eating and drinking options for the morning, so they can feel comfortable getting up before you, should they still be functioning on a different time zone. Continental Breakfast – one of the best aspects of a hotel stay (for many) is the dining options and snack choices available throughout the day. You can accomplish the same thing in your home by purchasing just a few basics. Water, juice and milk will satisfy most daytime and morning needs for most people of the non-adult variety. Coffee in the morning is a must for 90% of your potential guests and you can create a special experience for them by simply offering some special additives like flavored creamers. Everyone loves a personalized experience. Before you head to bed yourself, be sure to set the timer on your coffee pot for a fairly early hour and lay out cups and creamers where they are easy to access. Don’t make your guests hunt and gather to find what they need. Mini muffins or breakfast pastries in a variety of flavors, bagels and cream cheese, and mini cereal boxes are a fabulous way to provide some eating basics that don’t require a full out cooking experience. This will fill empty tummies regardless of the hour they wake. Bathing: A crucial ingredient to a decent stay, if I do say so myself! Be sure to provide plenty of towels of every variety for your guest’s bathing needs. Some people like two towels while others like one smaller one… be sure to have several of each already out in plain sight for them. Have wash cloths and hand towels near sinks and a variety of bathing products for them as well… You can purchase single serving bathing products at almost every grocery store so go crazy and get them everything they may have forgotten in addition to shampoo and conditioner (toothpaste, mouthwash, shaving cream, lotion etc.). It can be mini bottle heaven friends… and will give them a little take home treat too! Leisure: Outside of the stay in your place, your guests may want to enjoy a bit of sightseeing and get to know your town. The best way to do this is to get to know what your town and it’s surrounding areas are known for. In northern California we are known for many things, both historical and outdoorsy, but mainly we are a commuter town meaning we are a couple of hours drive from dozens of spectacular places. Locally – we have several ‘old towns’ within a 20 mile radius of here, including the very well know historic Old Sacramento on the River Delta. A short days adventure walking the wooden planked sidewalks and exploring the Railroad Museum are always fun for the family and our friends. Old Folsom is another short day adventure walking through the shops and eating at the local restaurants alongside the American River. The network of rivers and lakes in this area, afford folks outdoor adentures till their hearts are content. From water sports and scenic rides to hiking or relaxation, there is a bit of something for everyone here. All in a days work – If you draw a radius around Sacramento covering about 90 miles you will be amazed at the number of adventures within your grasp. We are a short hour and half drive from the amazing city of San Francisco, Marin County with Stinson Beach and Muir Woods for the outdoorsy types, Lake Tahoe for those who might enjoy some time at the lake in the summer or a bit of gambling and winter sports when the temperatures drop, the Gold Country towns of Coloma, Sutter Creek, and Murphy’s with their spectacular adventures in antiques, caves to explore and gold panning, and the Wine Country… well who can forget that. With Napa being the most well known followed by Sonoma, Amador and El Dorado County, this area is bookended by amazing wine varieties and fabulous winery tours. Is your place in need of a style update? Apartment Guide has partnered with TV host and design expert Kim Myles for the second annual Apartment Guide “Your Picks. Your Place.” Sweepstakes. From now until August 14, visit YourPicksYourPlace.com to vote once per day for your preferred room design showcasing furniture and home décor items selected by featured bloggers. The site will feature four different room designs every two weeks. By voting, you’ll be entered for a chance to win a $10,000 grand prize or one of eight $250 weekly prizes to go towards your own selections for your home. While you’re on the site, you can find design and décor tips from Kim Myles, Apartment Guide and featured bloggers to help you design a room that’s uniquely you. Whether you’re living, looking or moving, Apartment Guide offers how-to tips for making the most of a space on http://www.movingtoday.com and http://www.apartmentguide.com/blog/. “Like” Apartment Guide on Facebook at Facebook.com/apartmentguide, follow them on Twitter @AptGuide and “circle” them on Google+ for real-time tips and updates on making the most of your space and living on a budget.